Why not enjoy a fishing break in luxury in one of our lakeside Lodges? Well you can when you stay at Cherry Lakes. Most of our Lodges have one bedroom with a double bed, which along with a double sofa bed in the lounge mean they can accommodate up to four people including two anglers. They are all fully fitted to a high standard, are centrally heated and have everything you need in the kitchen for a self-catering holiday. A Smart TV which can be linked through the internet and DVD player means you should be able to watch whatever you want whilst being just a few feet from the fishing rods! That is of course unless you are on the Lodge balcony having a BBQ watching the sun-set! 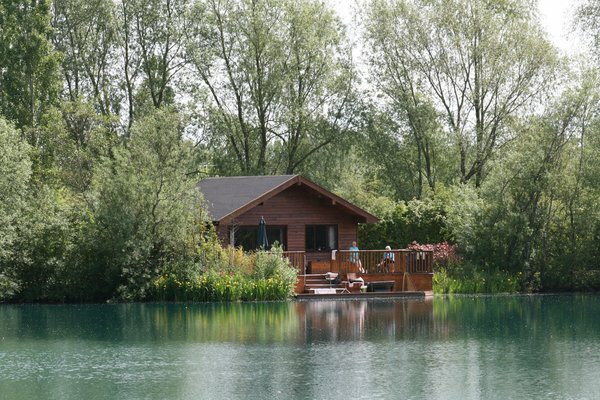 If you have a bigger group including children under 12, why not consider the fabulous Cherry Lake Cottage with its hot tub and large dedicated all weather fishing swim. We are sorry but children under 12 are not allowed in the lakeside Lodges. We also do not allow any pets including dogs. 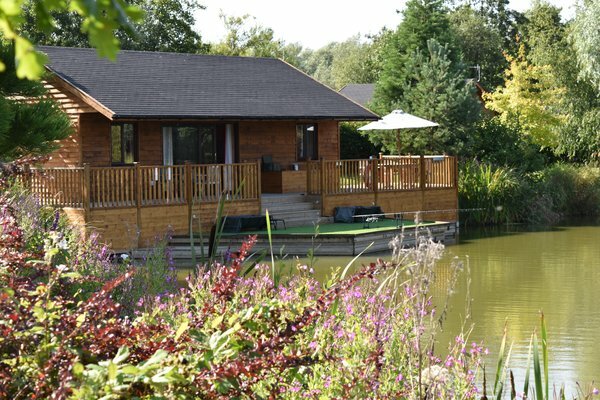 Pochard Lodge is our biggest Lodge.As well as having two double bedrooms, it has a larger lounge and can comfortably sleep up to 6 people including up to three anglers who can fish it's exclusive lake Cherry Mere. It has a large dining table seating up to six as well as a similar size patio table and the two large sofas in the lounge offer a great view over your own lake. We are very sorry but children under 12 are not allowed in any of our lakeside Lodges, but they are welcome in Cherry Lake Cottage. We are also sorry but no pets including Dogs are allowed. The delightful and spacious 3 bedroom Cherry Lake Cottage stands on the banks of the River Churn and is great for the family and the serious Carp angler alike. It is tastefully decorated and fitted to a high standard to have all the comforts of home. It even has it's own exclusive hot tub!. 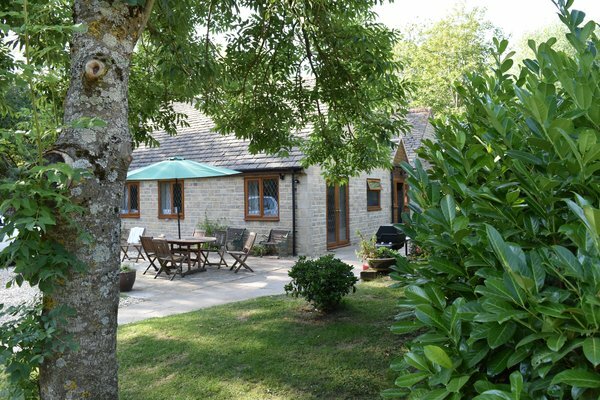 The Cottage is ideal for larger groups and families and can sleep up to six people. 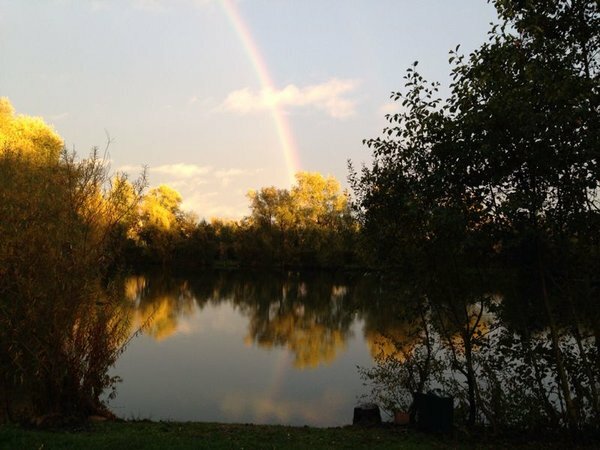 It also has it's own large all-weather fishing swim just 25 meters away on Cherry Lake. Children of all ages are welcome. Sorry but no pets including dogs are allowed. Please follow the links below for more information on staying with us.